Every year, thousands of athletes just like you tear their ACL. They land from a jump, make a cut, or twist their knee, and in the blink of an eye, their lives change. Along with that horrible "pop" comes pain, doctors visits, MRI's, surgery, rehab, frustration, and worries. Will I be able to play again? Will I be as good? My name is Bart Anderson and I am a certified athletic trainer. Over the last 10 years I have treated countless athletes with ACL tears. I know how frustrating this injury is, and the hard work the recovery process takes. I have seen how it changes their lives - the worries they have about returning to sports, being as strong as they were before they got hurt. I understand their fears about tearing it again. And I know how hard it is to miss a whole sports season. I want to give you the best chance to avoid this dreaded knee injury. Are You Protecting Your Knees? You may have heard that the key to preventing ACL injury is to strengthen your legs - the hamstrings, the quads, the hips. Maybe you have done exercises to help build strength - squats, hamstring curls, lunges - during your workouts or rehab. While all of these are great exercises and are important, they aren't the most important. How many times have you heard of someone tearing their ACL without any contact to their knee? Landing from a jump, cutting, or just running. These types of injuries - non-contact ACL injuries - are some of the most common ways to tear your ACL. Believe it or not, strength does little to help to prevent these injuries. I have seen athletes who are as strong as they could possibly be, and yet they still tear their ACL. In fact, strength training can sometimes put you more at risk! So if it isn't strength, then what is the key to protecting the ACL? ACL tears happen because the knee gets into a position that overstresses the ACL and ends up tearing the ligament. It usually happens in the blink of an eye. An awkward landing, a cut to the side, and the dreaded "pop". The reason the knee gets into that "danger zone" is because your body isn't able to control its movements. The muscles reaction time and ability to control the knee isn't good enough, and the knee buckles or twists, tearing your ACL. Unfortunately, most athletes don't do exercises to help improve their muscle control. Most athletes don't even know what these exercises are...Do you? If you play sports, you are at risk for an ACL injury. Sports that involve jumping, landing, and cutting are higher risk - and if you are female, you may be 3-8 times more likely to tear your ACL. But there is hope, and there are ways to help prevent ACL injury. ACL Injury Solutions is an 8 week program designed to help prevent ACL injury. This complete program will walk you through 31 different exercises to reduce your risk of ACL injury. Each exercise has been proven to help improve strength, balance, and muscle control. These are the same exercises I use with my own patients - So I know they work. ACL Injury Solutions is divided into two phases - Phase I focuses on core strength and balance, and builds a strong and stable body. Phase II progresses your prevention by focusing on jump training, plyometrics, and functional movements. This systematic progression ensures the best results possible for a safer knee. The entire program requires very little equipment, so you don't have to make any huge investments or buy a gym membership. In fact, you can do all of the exercises right at home. ACL Injury Solutions gives you the best chance of protecting your knee from ACL injury. ACL injury is one of the worst knee injuries an athlete can suffer, and every athlete is at risk. If you play sports, you can benefit from this program. If you have had an ACL reconstruction, this may be the key to preventing a second tear. If you are injury free and want to stay that way, ACL Injury Solutions can help. If you want to have a stronger, more balanced, and more stable body - ACL Injury Solutions is for you. For less than the cost of dinner and a movie, you can help protect your knee from the dreaded "pop". ACL injuries are all too common - don't become another victim. Take the time to protect your knee. The average ACL reconstruction costs over $25,000 - and that doesn't include the rehabilitation! ACL injuries result in early arthritic changes, decreased quality of life, and often early knee replacements - this is especially true for those who tear their ACL multiple times. Can you afford not to do everything possible to protect your knee? Your very own personal athletic trainer - me! Thats right. I am positive that ACL Injury Solutions will help to reduce your risk of ACL injury, and improve your strength, balance, and muscle control. So positive that I will gladly refund your purchase price at any time within the next year if you are not completely satisfied with your purchase. Absolutely no questions asked. With your purchase of ACL Injury Solutions, you will also receive one on one customer support - so if you have a specific question about the ebook or don't quite understand an exercise, I am only an email away. Where else can you get the guidance you need for protecting your knee for under $25? Download Your ACL Injury Solutions Today! This will open your shopping cart with ACL Injury Solutions. If you have a discount code, you can enter that in the appropriate box. Click on the yellow PayPal button to check out. 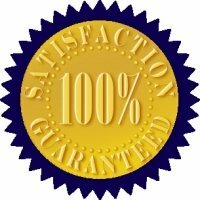 You will be taken to a secure payment page and will be able to complete your order. You can pay using your PayPal account or credit card. Once your payment is complete, you will be redirected to the secure download page. If you are not re-directed, click on the orange "Complete Your Purchase" button on the payment page. You will also receive an email confirmation with your download link. 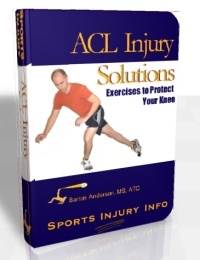 ACL Injury Solutions is only available as a downloadable ebook. No physical product will be shipped to you. Downloadable ebooks allow me to offer this comprehensive program at this low price because I do not have to account for printing and shipping charges - so everyone saves! It also means that you will have instant access to the information - no waiting for a hard copy book to arrive.You can start the program in just minutes! If you have any problems at all with your download, with your payment, or with your emails, please let me know. Use the contact form on the site. Make sure you include your contact information and the email address you used when you ordered. Don't forget the specially designed elastic bands. For the best results, I highly recommend my Solution Series Elastic Band. 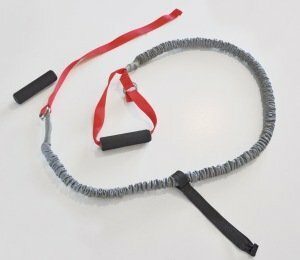 This high quality exercise band is was specially designed just for the Solution Series exercise programs. You won't find a more versatile or durable elastic band anywhere else. ACL injuries are expensive, time consuming, frustrating, and life altering. You deserve every possible chance to avoid this terrible knee injury. I know that this program works - in 10 years of practicing as an athletic trainer, I have never had a patient re-tear their ACL after going through this program. You have nothing to lose but time. Go ahead, download your copy today - try the exercises, work through the program. If, after you give the program a chance, you are not completely satisifed, send me an email, or use the contact form, and I will gladly refund your entire purchase price - with absolutely no questions asked. I developed this program to help people like you protect their knees from ACL injury. But you can't benefit from the program unless you try it. How much is a safer knee worth to you?